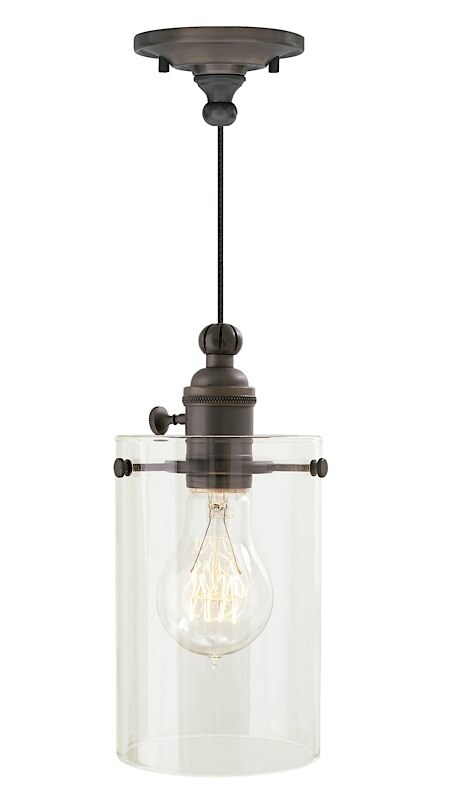 The Clark Pendant presents the look of an antique lamp socket with vintage metal detailing. The cylindrical glass is the consummate addition to this fixture, allowing the impressive glow of bulb to reveal itself. 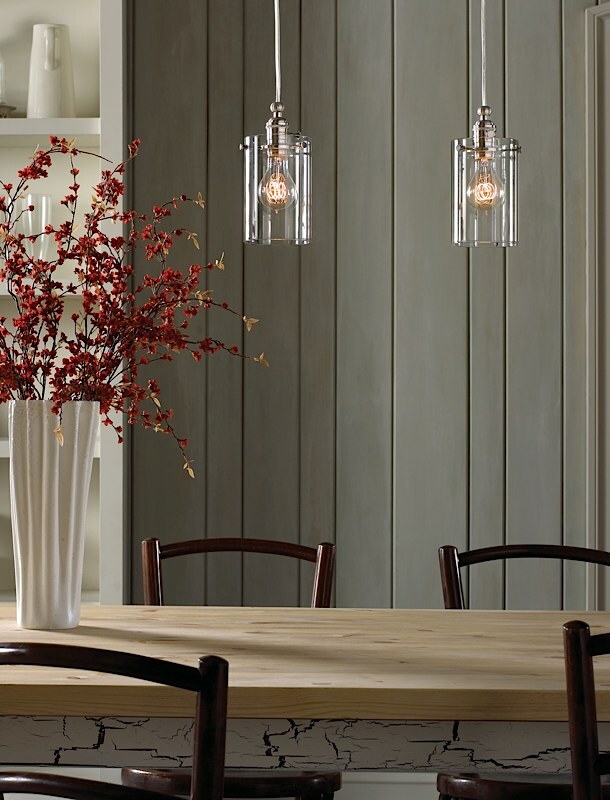 Choose from antique bronze, satin nickel or polished nickel finishes for the perfect look. Includes a 60W medium base (bulb not included), Classic Edison Style lamp, integral on/off switch, and six feet of field-cuttable cable. This fixture is dimmable with a standard incandescent dimmer. Suitable for damp locations. Also available in white and brown glass.